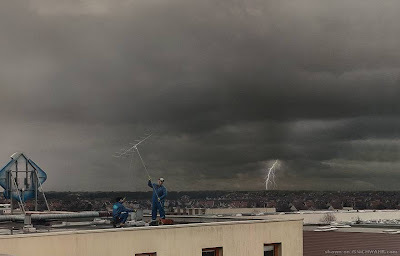 Image of two guys installing a TV antenna on a rooftop during a thunder storm. Received via email, source on image. My limited German translates image caption to " this cannot be true"